Start by calling, meeting, or submitting our Custom Order Form, which will let you to send us a brief description of your dream piece of jewelry. The Order Form also lets you upload pictures and/or webpage links to show us examples of what you would like your final piece to look like. Remember, no request is too big or too small. Our team of expert gemologists and award winning designers will work closely with you either in person or virtually to discuss every detail of your request. This includes the choice of stone and metal as well as any other specific details that might affect the design of your jewelry. 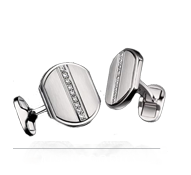 During your appointment you are shown a range of different diamonds or gemstones. This is when our team objectively walks you through every detail of each stone and advises which stones offer the most value and why. IMPORTANT: If you are unable to make it into our office, we offer our clients access to our Remote Diamond Vision Program. This program allows you to compare the actual stones we are offering on your computer or smartphone, just as if you would if you were seeing them in person. Our team designs a 3D rendering of your desired piece that is engineered to your exact specifications. Since your piece is being made from scratch, the design carefully accounts for the precise specifications of the stones that have been chosen so they fit perfectly. Unlike many retail stores, you will never have to force a loose diamond into a pre-made setting that the store is trying to push off onto you. 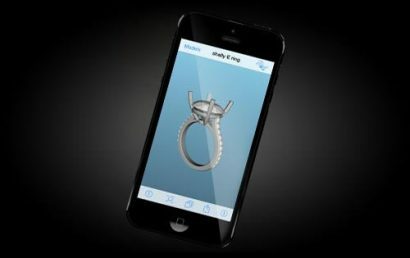 Our team will either send you pictures of the final computerized model or the iRhino 3D smartphone application file where you can personally zoom in or out and view the design from different angles. Upon request, we can also show you what your ring will look like next to your future wedding band so you can imagine the complete package. 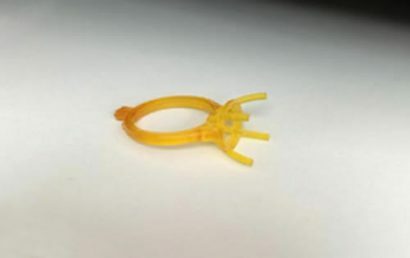 Once the final design has been approved, we use our commercial grade 3D printer to create a wax model. 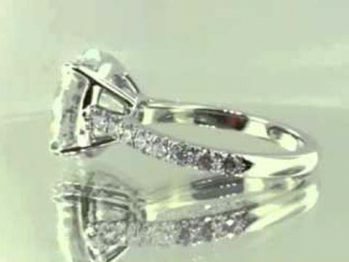 We use that model to cast the piece of jewelry in the metal of your choice. 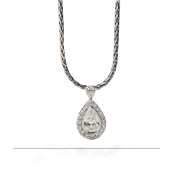 Most of our clients choose from Platinum, Gold, White Gold, or Rose Gold. After the cast is complete, all of the stones are set. Upon final assembly, the entire piece is meticulously inspected by at least two members of our expert team to ensure each component meets our strict quality standards. 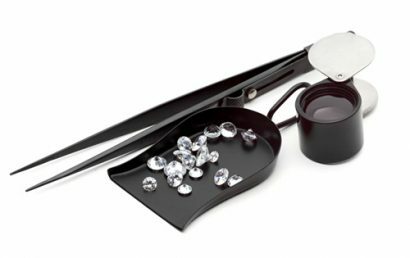 Each piece is then professionally cleaned, polished, and steamed to guarantee the final product shines to the fullest extent possible. The final product is a designer quality piece of jewelry, priced well below retail prices. Many times, these jewelry pieces can be quite an investment for the average person and our mission is add as much value to your diamond purchasing experience. 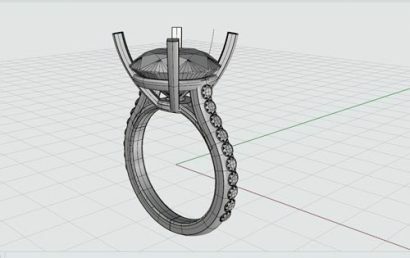 Milestone Gem uses advanced computer imaging and design technology to create custom jewelry to your exact specifications. Customers who come to our New York City office can sit in our design studio with our design team to collaborate on their piece in real-time via 3D digital rendering. Customers who are unable to visit our office can still take advantage of the custom design process, via Milestone Remote Program. CAN’T COME IN TO SEE US? NO PROBLEM! Finally, customers are able to actually see their specific diamond options remotely! Many people buy their diamonds from a local store because they feel safer buying something they can touch. Milestone Gem is now able to remove that objection from the equation by utilizing modern technologies that allow our customers to receive 360 Degree High Definition interactive videos of their actual diamond or gemstone options allowing customers to make educated decisions just as they would by seeing the stones in person. Once the stones are selected, we verbally discuss any custom enhancements the customer may want to make and the rest of the process follows the normal custom design steps. THIS ENTIRE PROCESS FROM START TO FINISH TAKES 1-2 WEEKS. 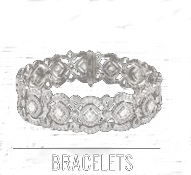 The final product is your dream piece of jewelry, at a significantly lower price than you will find anywhere else.